Always just beyond all these things was the silver sea, the lace border around all land like the silence around all sounds, or the unknowns beyond all knowledge– Rebecca Solnit. The landscape of Dorset has always held a peculiar fascination for me, thoughts shaped by the tourist friendly title of Jurassic Coast as well as the lure of quiet coves and tumbling hills. 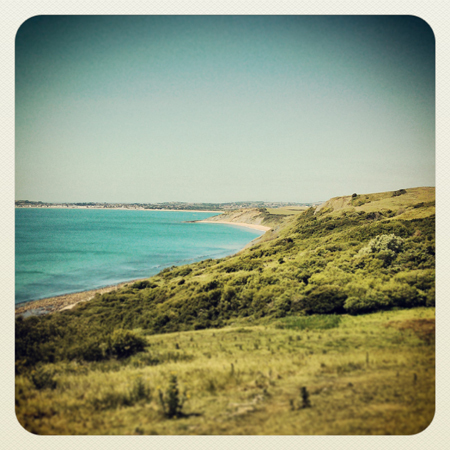 So one summer day we departed our bell tent and trekked west from the hidden hamlet of Osmington Mills, eager to scramble over this fractured seaside trail towards Weymouth. The hamlet crouches at the edge of a sharp bay and trades on a long standing heritage of dastardly smugglers to seduce the eager tourist. W.H. Hudson said of his beloved Dorset it was ‘that country richest of all in wildlife which constantly calls me back from all others east, west and north to its heaths and forests and rivers’. With this natural wealth in mind we followed the South West Coastal Path as it snaked atop breathtaking cliffs at the foot of rolling chalk downs. The view was spectacular, to the south an azure sea shimmered far below, to the west Portland loomed like Avalon and all around squadrons of butterflies tangoed amongst the gorse. This boundary footpath helps define a landscape in constant flux. It’s easy whilst camping to regard the sinuous coast as occupying an idealistic haze, but as Richard Mabey observes this is part of our ‘hopeless attempts to reconcile our dreams of a calm life under the skies with the elements’ gratuitous ramblings’. Sea water nuzzles at the cliffs tearing at precipice and cove, splintering geological features and teasing out remnants of history. Winter storms pick at the limestone and sandstone shelves like an inquisitive surgeon, excising ancient material onto steep gravel beaches and exposing globules of Corellian clay and sculptural fossils. If you are lucky you can spy whorled ammonites and Lucine clams sandwiched between the shale strata. The lapping waves are a handy archaeological device for comprehending the entire narrative of this zone. The erosion process is continuous, entombed pre-historical creatures cascade onto beaches, glossy seaweed encrusted ribs of boats protrude from inky rock pools and concrete defences crouch half submerged on the foreshore. Above this conflict the Downs creeps ever southwards, spilling lush farmland and its interior secrets into the swirling foam. Weymouth Bay. Picture author’s own. A winter storm at Osmington Mills once brought an entire cliff slip plane down onto the rough hewn blocks of the fishermans’ causeway, in one violent fall terminating the last of the harbour’s nautical infrastructure. Further down the coast rockfalls have even crushed sunbathing tourists and isolated picturesque spots. As we strode onwards towards Weymouth with the pace noted by National Trust markers, we came upon numerous fissures in the ground. Here the swollen earth had ruptured and collapsed, scattering lumps sodden from rainfall, landslides shifting piles of boulders. These zig-zag cracks were often fresh, indicated by fragile plants which still clung to the ochre folds that occasionally gave us cause for concern. For the cliff dweller as James Elroy once wrote ‘geography is destiny’, there was always the outside possibility careless ramblers could be drawn down into the gaping maws of the underworld. 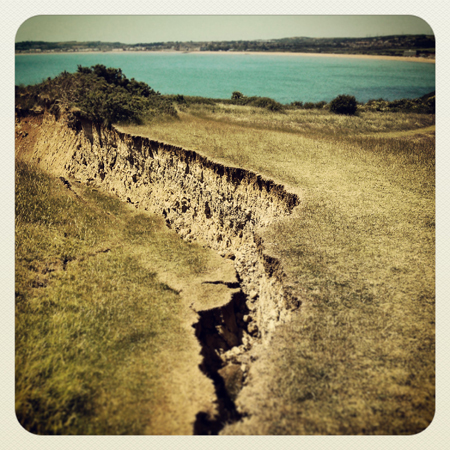 Ruptured cliff path. Picture author’s own. Clambering down a perilous cliff staircase at one point we came upon a number of cylindrical WW2 bunkers set against the sharp rocks at the foot of a secluded beach. 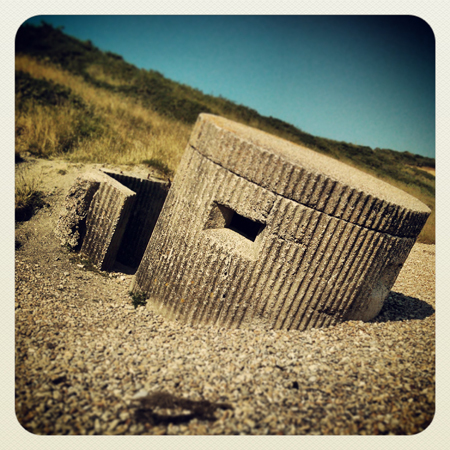 This part of Dorset directly opposed the impending Nazi tank divisions of Germany so hastily constructed pill boxes hiding nests of machine gunners were installed to prevent storm troopers assaulting the shingle slopes. These now provide ample shelter for teenage drinkers and occasional gulls, but their ominous sculptural remains still form proud geometric masses marking a more recent episode of this area’s history. The boxes themselves have been caressed by tidal surges over the years and now lie at haphazard angles consumed by granular banks. I won’t remark too much on this nod to the world of bunkerology; academics like the marvellous Luke Bennett have covered this area far more deftly than I ever could. Suffice to note that J.G. Ballard said of the bunkers’ German counterparts they were ‘left behind by a race of warrior scientists obsessed with geometry and death’, these forms then manifest as grim totems, brutal in their precise symbolism. One mysterious site near to our camp was Goggin’s Barrow, a round ‘tomb’ of disputed origin lurking high at the cliff edge and spilling its dark soil onto the foreshore below. We could only glimpse a lush grassy mound rising up at the edge of the looming cliff, from inland it appeared as a gentle hillock with no hint of the lethal drop beyond. This alleged neolithic structure immediately reminded me of M.R. James’ sinister ghost story Oh Whistle and I’ll Come To You My Lad. It recounts an amateur archaeologist investigating an unearthed Templar repository in a fictional Suffolk village that is threatened by the sea. One of the characters notes ‘the site – I doubt if there is anything showing above ground – must be down quite close to the beach now. The sea has encroached tremendously, as you know, all along that bit of coast. I should think, from the map’. Parkins the professor ventures to Burnstow and whilst digging at the beach edge unearths a strange whistle inscribed with the phrase ‘who is this who is coming?’, then shortly after he spies a sinister figure watching him from afar. Gobbin’s Barrow. Picture author’s own. Later on Parkins blows the artefact and a savage gale rises up, though as a sceptic he promptly disregards this occurrence, announcing to a fellow resident ‘What’s more natural than that, the eccentric personage I postulated should be regarded as having raised the wind, or that he or she should clutch eagerly at the reputation of being able to do so? Now, take last night’s wind: as it happens, I myself was whistling. I blew a whistle twice, and the wind seemed to come absolutely in answer to my call’. However like in all good spine tinglers incidents proceed to haunt the professor and eventually he is pursued by the manifestation of a creature formed from the folded fabric of his bedroom. James wrote ‘It leapt towards him upon the instant, and the next moment he was half-way through the window backwards, uttering cry upon cry at the utmost pitch of his voice, and the linen face was thrust close into his own’. In the tale the hidden past is opened up like a book, the whistle signals the release of faint memories which come tumbling out of the creases of obfuscated coastal geography. Rather like the shattered edge of Dorset with its crystalline past, origami ghosts within the story slowly unfurl and draw us into the ever shifting narrative of the shoreline as the entity heralds an oceanic revelation of mysteries. In Dorset the natural architecture of the county gently delaminates, it describes as Rebecca Solnit wrote ‘a story that itself became a labyrinth that had at its centre questions about how to tell and how to listen‘. Tier upon tier of illuminations are unveiled by the topographical turmoil. It is an example of a natural precursor to sculptures such as Robert Smithson’s ‘nonsites’, whose scree slopes raked hills and spiral jetties defined lakes. He said of his jetty project ‘my dialectics of site and nonsite whirled into an indeterminate state, where solid and liquid lost themselves in each other. It was as if the lake became the edge of the sun, a boiling curve, an explosion rising into a fiery prominence. Matter collapsing into the lake mirrored in the shape of a spiral. No sense wondering about classifications and categories, there were none’. For Smithson the junction between matter and liquid became an indeterminate space, and in Dorset this hazardous border helps define the attributes of the locality with its mutable boundaries and fibrous pathways. Our sun kissed wander along the delicate arc proved to be a hearty and certainly successful endeavour to savour the salt-licked liminal quality of this south coast hinterland. I remember the MR James story – only too well! Been feeling the yen lately to catch up on Ballardian reading. Thanks Michael, very kind. Although the James story is based in a dismal sinking Suffolk, I felt that Dorset too battles with a sea which hungrily grasps at its history. “Geography is destiny” is poetic prose and lyrical literature. All the things I love about writing. I’ve been criticized for it. I’m so glad to see it still exists in this abrupt world. 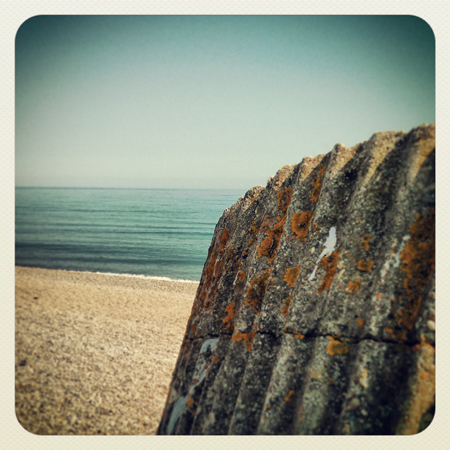 Great piece from Liminalcity – Matt Barnes – Join him on the Dorset coast – the Jurassic Coast. Beautiful writing Matt – I love the butterflies tangoing image. The post is an interesting mix of desolate and lyrical. The MR James is an old favourite and this does remind me of my walk on the Suffolk Coastal path a few years ago. The Dorset I remember was not so bleak but it may have changed! Thanks Diana, I wish I was as productive as you though! You are right, sunny Dorset doesn’t have that sombre quality that I remember from sleepy Suffolk, but the sea does carve up the coast and reveal strange details in a similar manner. I lived for a while in Sussex, so I found the empty beaches rather unsettling. Great writing Matt. Really conveys the sense of the shifting coastline. The beauty of the walk contrasted with an uneasy sense of the slow process of attack by the sea and the erosion of the land. Love the sound of Gobbins Barrow. Thanks! The funny thing with that barrow is that it has only been excavated by the sea, so there’s no evidence it’s anything, but a round hillock, yet local folklore recounts all sorts of tales. Thanks for the plug here Matt – very kind. Your piece was very vivid. I was in East Devon this summer and sensed something similar – at the western edge of that ever changing cliff-scape where ‘continuous, entombed pre-historical creatures cascade onto beaches’ as you so evocatively put it. Thanks, I was channelling your rockfall posts really, that Devon slippage you wrote about was terrifying! This is wonderful… the writing really captures the spirit of a place which I have admittedly have never been to but would love to now experience for myself. Great job. Thanks, I’ve only ever read extracts of it reprinted elsewhere, but never got hold of the whole thing, I should investigate once more. Isn’t it amazing to walk over the top of those fossils that are slowly being dissolved by the sea? And the contrast with the WWII bunkers. One takes in millions of years in one grand sweep! Loved the pictures. Great read. Thanks very kind! BTW just popped over to your blog, Teaching surely is an honourable profession! Thanks.. Some days I felt great and some days were really hard. After forty years in many different classrooms I finally retired not with a bang but a whimper. Beautiful photographs! It’s amazing how different parts of the world can look so opposite from each other. Looks nothing like where I’m from! You’re a wonderful writer as well. =) Thank you for sharing! Thank you. You are very lucky to have wolves and the mighty wild so close. Yes I am! I absolutely love being able to go in the forest and think. I was so sad in the city! Never seeing an animal or foliage, and the sky was gray 24 hrs a day. Nice… Makes me want to visit and see these vistas for myself. Thanks very kind, there are strange landscapes everywhere for people to explore. Each place is unique and emits its own vibes. Celebrating each one is remarkable. Thanks that’s very kind, I love the idea by the way of a barn to hold our thoughts and books. Wow! …a terrific job of transforming a dry subject (to most) into an eminently readable adventure without dumbing down the material. Great descriptive writing, and real content. It’s a pleasure to read, and read again, your prose. Very kind, it’s merely day dreaming along a cliff really. If one delves deep enough the landscape can reveal all sorts of strange oddities. It sounds like you have travelled to all sorts of amazing places by the way! You’re right…I have traveled in some amazing places, fortunate enough to get some of the earth’s far corners before jet travel turned the world into a tourist circus. But that’s all the more reason to day dream along an isolated seashore. You can travel just as far by observing closely and following the clues, and you don’t have the distractions of camera-snapping crowds. This is beautifully written . Fascinating. Thanks, by the way love your September songs imagery on your site. Wonderful writing & nice photos Matt. Yeah I hadn’t spotted the FP thing ’till the stat’s spiked, thanks for the kind words! Love the turkey photos too. Lovely photos of a beautiful part of England. 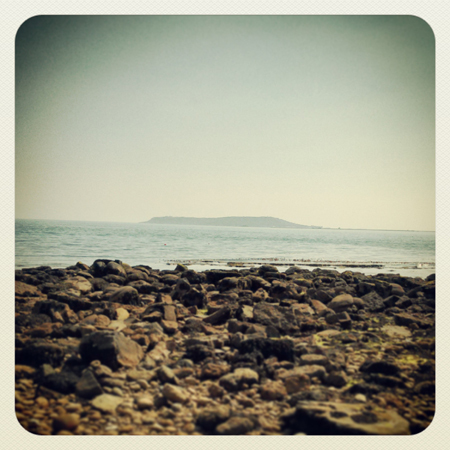 I’m from North Yorkshire and as a teenager I hitchhiked with my brother to the South West and we ended up camping in Osmington Mills. 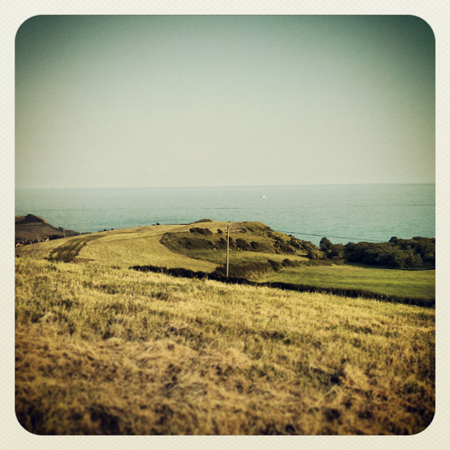 It was selected using an OS map and our skills in geography which told us that it was a small V shaped valley, barely inhabited with a small beach by the sea, its seemed very adventurous back then and we loved it especially waking up to that view. I’ve had a soft spot for the area ever since. Congratulations on getting FPeed. Sounds like a wonderful adventure, oh and your street sketches are a marvellous snapshot of life in all its colours. hey, this deserves appreciation for sure! Much appreciated! Like the observations on apparel and custom on your blog. Thanks, your piece is fascinating and vastly more professional, I merely wander in the margins, oh and sadly I still haven’t made it to the legendary Square and Compass! Thanks for the extremely interesting read. Still learning a lot about geography & geology, hobby subjects for me, a plant geek. Thanks very kind. It’s a hobby for me too really, a chance to indulge random interests and wander around. You must have fantastic opportunities to explore with your plant blog? Thank you. Your hiking poetry is wonderful btw. Reblogged this on ikeriebenezer's Blog. Thanks for Sharing…..and for your beautifully crafted writing!! I really admire your writing style and these photographs are beautiful! Keep up the good work. Thanks very kind, I just had a look at your blog, you are so lucky to be able to explore those vast woods, rivers and mountains! Very kind, btw you are very lucky to have all those travelling adventures. Lovely piece. I’ve always really liked the description of the Undercliff at Lime Regis in Fowles ‘The French Lieutenant’s Woman’ similar mixture of scientific/natural history description and poetic expression of place. A fascinating part of the country. Thanks very kind, I can’t hope to match that novel, but it’s certainly an intriguing landscape of mystery and geology. Good attempt at describing someplace, but as a journalism major I felt exhausted at the end of the piece. Where am I? England, France? First few sentences in lead really should get my attention right away, identifying this location. Less adjectives would lighten the load. Don’t force it. Please don’t assume the reader knows Dorset and Suffolk because this reader hasn’t been there! Otherwise a good travel along an unknown coast. Hi, thanks for the helpful input and you make a good point. It’s always rather difficult to balance content levels with readers, my masters was in architecture/ urbanism so I guess I always lurch more towards the poetics of space and psychogeography rather than travel journalism. These pictures are amazing. Sounds like an amazing place to visit! Thanks very kind, it’s certainly a marvellous place in flux which people can explore.